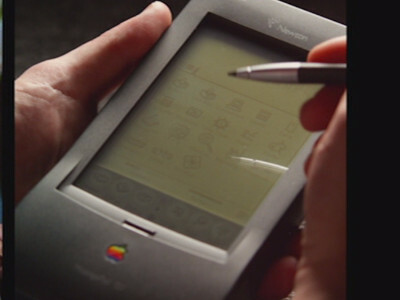 In 1994, Apple's MessagePad 100 series was one of the earliest PDAs on the market. 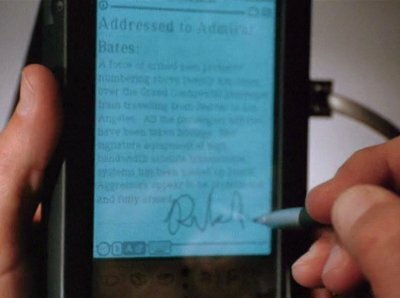 In common with all Newton's of the era, it was often criticised for it's handwriting recognition which could give mixed results. 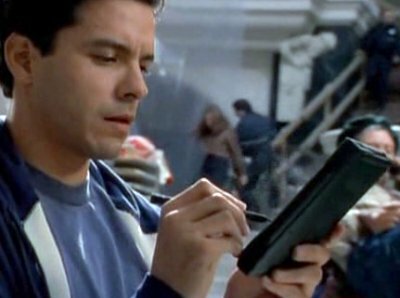 Casey uses his Messagepad 120 to send a fax alerting the authorities to the situation on the train. 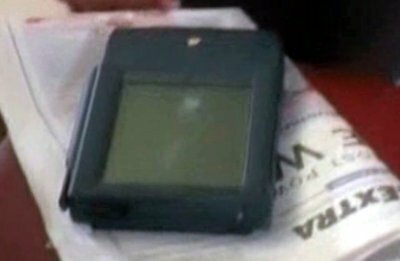 All seems fine except that this Messagepad 120 has a blue backlight - the 120 has no backlight and subsequent models had a green backlight. 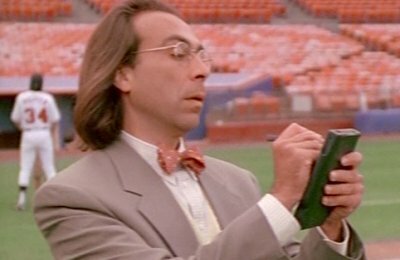 David Montagne, the coach's assistant and publicity officer, uses a Newton as his PDA. 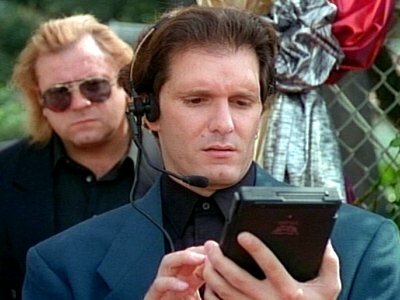 The kidnappers use the MessagePad to route their telephone calls, making them untraceable. 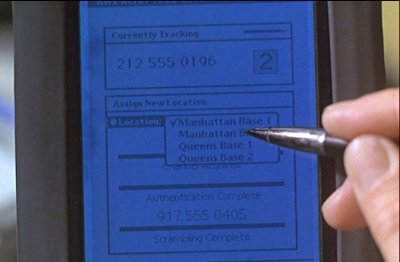 I don't remember Newton OS having an FBI-proof dialler option. 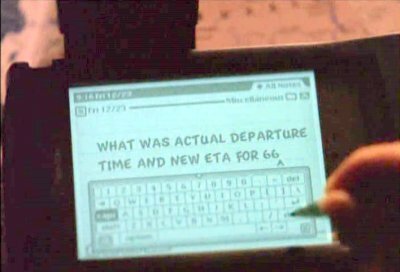 Kate owns a Messagepad, but doesn't seem to use it. 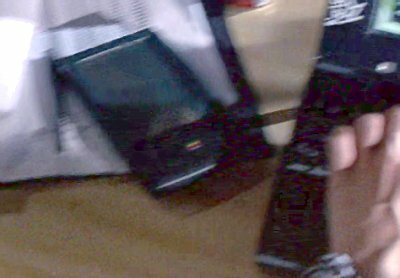 Dr Sanders carries an Apple Messagepad with a wireless network card which she uses to communicate with CIA agent Ellis with RadioMail. 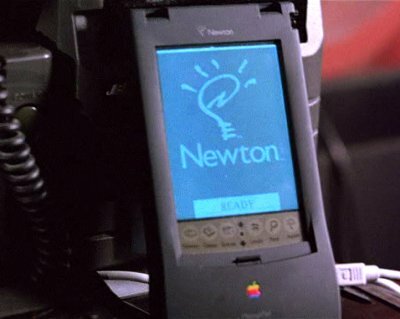 Nicole's father uses a Newton in his office, perhaps to research David's background. 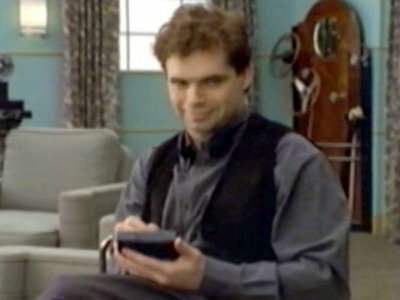 The bad-guy racing driver has an assistant who almost always carries a Messagepad with him. 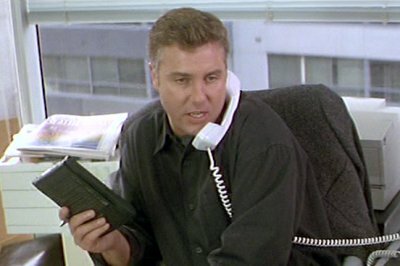 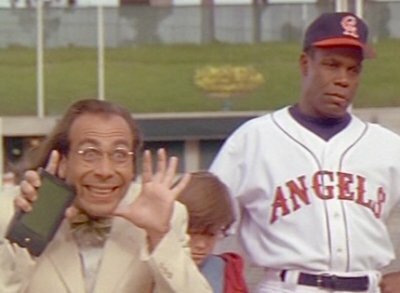 The thief has a Newton that Nash steals to go through his contacts. 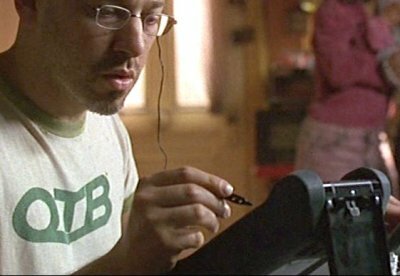 The only slight concern is that the Messagepad seems to beep every time the stylus touches the screen. 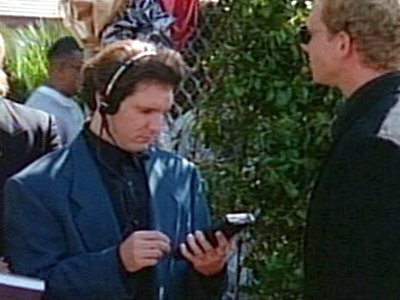 Steve tries to get backstage at the Rolling Stones gig but is thwarted by a security guard armed with a Messagepad. 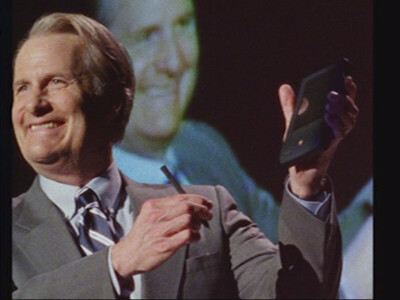 John Scully demonstrates his favourite product, the Newton.